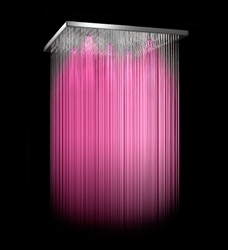 Charade Shower System is dedicated to those who view the bathroom as a relaxing haven for mind and body. 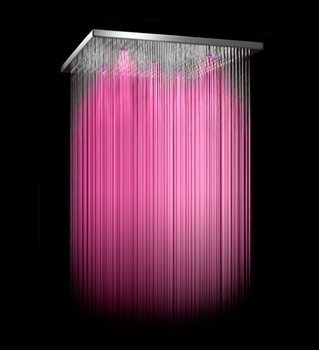 The result is a sumptuous “waterfall” effect, with numerous jets from a central shower head and a generous elegant panel, available in different formats and different materials: squared in stainless steel; elliptic in aluminum; and rectangular, squared or round in Corian. 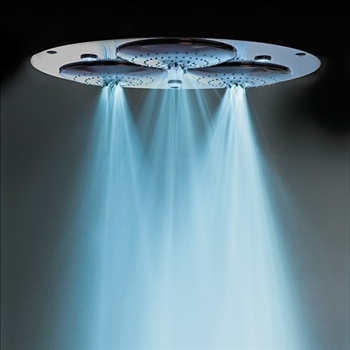 The squared version in stainless steel is also available with a 3 jets function (rain, cascade and vaporized). Made in Italy. Note: Call or email for Pricing.